It’s not just Jed Patrick E. Mabilog who is under the control of Jing Jing Espinosa. 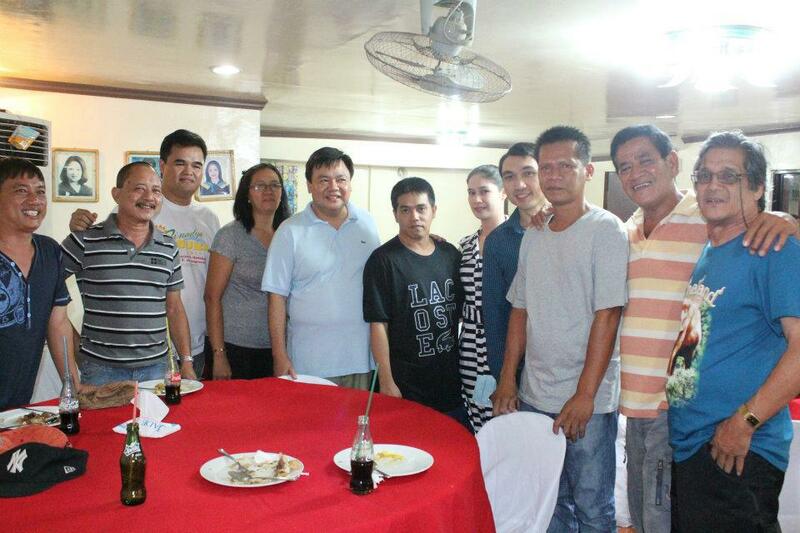 Congressman Jerry Trenas, too, is a frequent visitor to his palace in Barangay Monica to ask for favors and support. Jing Jing Espinosa is the number one campaign leader of the Team USWAG in Iloilo City. He has promised to deploy his goons and spend his drug money for the victory of Trenas, Mabilog and Espinosa (T-M-E). SALAMAT MAYOR MABILOG AND CONGRESSMAN TRENAS from Jacob NO Fear Espinosa on Slide.ly. It was bad enough that the Department of Public Works and Highways (DPWH) demolished the Dungon Bridge even though its structural condition was still good for the overpriced cost of P36 million. What made it worse was that the “matuwid na daan” government of President Benigno Simeon C. Aquino III spent an additional P17 million to “widen” it into a four-lane bridge when modern technology could do the job at a cheaper cost. Rick B. Ramos, executive director of the Citizens Infrastructure Integrity Watchdog (InfraWatch), said there are several existing bridge projects in the country that utilized the metal plate connector technology to increase the vehicle handling capacity from two- to fo ur-lanes. 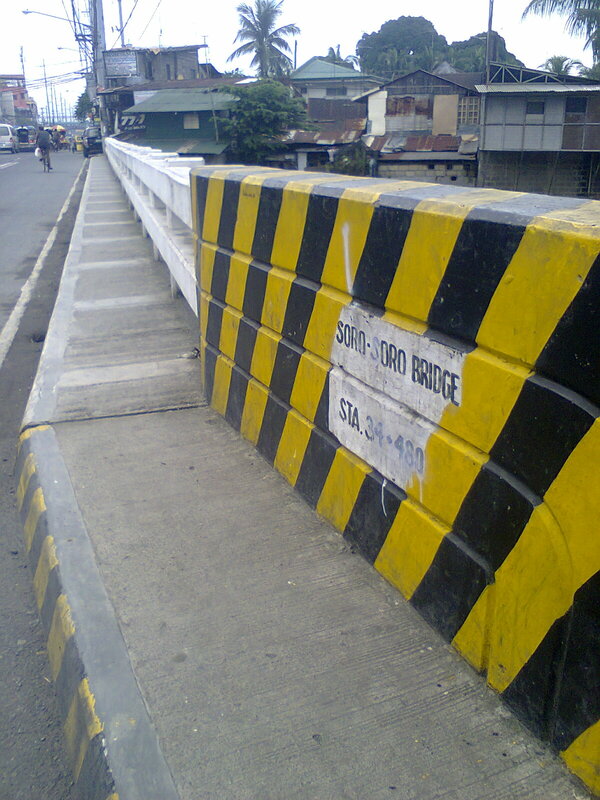 Among these is the Soro Soro Bridge in Binan, Laguna which was also implemented by the DPWH. The Dungon Bridge was reopened to vehicular traffic two months ago after a public uproar over its delayed completion. When Ilonggos started using it again, they were aghast to discover that the four-lane design that cost them P53 million all in all had not been completed. The roadway on the bridge remained two lanes, with their money already down the drain. The Dungon Bridge project was pushed by Iloilo City Representative Jerry P. Trenas with help from Senator Franklin Drilon, chairman of the powerful Senate Finance Committee. The money for the project came from “savings” of the DPWH, unexpended funds that were scooped from several completed projects to raise a total of P53 million. It was also Drilon who allocated the P65 million to buy the P7 million San Isidro relocation site for the urban poor. Ramos said the P31.4 million, which later rose to P36 million, for the original contract of the Dungon Bridge project was excessive by itself. He reiterated that the bridge was still in good condition, and it would have been enough for DPWH to reinforce its columns, girders and abutments for more secure structure. But Ramos disclosed that a two-lane bridge project in Negros Occidental completed only last April cost only P21 million. Its length is almost the same as Dungon Bridge. Ramos had written to DPWH secretary Rogelio Singson, who is always being praised as the paragon of transparency and honesty, about the Dungon Bridge last August 13. But his complaint has been ignored. Philippine Star columnist Boo Chanco wrote about the Dungon Bridge on Sept. 3 based on the Ramos letter. Singson never bothered to respond to him. In a Tweet on Wednesday, @boochanco said Singson has adopted a “deadma”, or indifference, stance towards criticism like this. Much of what is going wrong in this country can be attributed to our failure to punish those who have committed grave crimes against its people. There is no justice when powerful officials can just steal money right under our noses and whistle their way to the bank. And we can’t expect ordinary crimes to be solved when the big, pestering corruption cases remain unresolved. These are the basic principles that need to be underscored as we tackle the issue of corruption in Iloilo City, particularly those involving its highest elected officials like Rep. Jerry P. Trenas and Mayor Jed Patrick E. Mabilog. We will never get anywhere for as long as these corruption cases taunt our justice system. It will never restore public confidence in our government. Worse, these public officials are getting bolder and bolder and bolder each time. This is what we have witnessed with the secret transaction that Mabilog made with F. F. Cruz and Co./Freyssinet Filipinas Inc. Joint Venture for the supplementary works contract worth P260 million to complete the new Iloilo City Hall building. Until now, City Hall hasn’t disclosed much after reporters covering the City Hall asked questions about the work resumption at the scandal-ridden project. Is this the transparency in governance that Mabilog boasted about? Was the contract a result of “open, competitive public bidding” that Mabilog announced last June? Is the city government trying to scale down its proposed expenditures on the overpriced project so that more funds can be channeled to other vital services and programs in the city? Of course, the answer can only be “no”. Mabilog is shrugging off these questions. For him, he can do as he pleases, even contrary to what the Commission on Audit has advised him, about the project. For him, he is the City Mayor, and he can ignore the mandate of Republic Act No. 9184, or the Government Procurement Reform Act, which clearly set down the rule that all government procurements, with a few exceptions, must be done through public bidding. It’s not hard to understand why Mabilog feels this way. He feels secure and protected by the culture of impunity that has taken root in our community. He has seen that his predecessor, Trenas, hasn’t been indicted before the Sandiganbayan after all these years. He will only need to apply thick make-up to turn his face into pachyderm. No shame. No guilt. No remorse. This attitude reflects the contradictions in what Mabilog preaches, and what he does. He put up the HALIGI Foundation at the start of his political career purportedly to espouse an “honest and accountable living for a graft-free Iloilo”. Is this just a camouflage for his true intentions? Or was he just swallowed by the monstrous jaws of corruption? Nothing about his actions during the first 16 months in office suggest he wants to get rid of corruption. On the contrary, he looks to me like a young man in a hurry to steal millions and millions from the public coffers. I am hoping the COA will stand its ground on the issue of the lack of public bidding. The first contract for the City Hall project is already fraught with irregularities. Right now, the vigilant media seems unable to stop these corrupt-filled activities. Trenas has hunkered down in the trenches, keeping himself hidden from the issues, with not a word to explain his past actions. Mabilog is sticking as close as possible to the model set by Trenas, looking almost like a clone. Much is expected of COA to redeem its image. In the past, COA was a toothless tiger, utterly helpless in the fight against corruption, because those involved were too powerful to be hailed to the Ombudsman. Now is the time to prove that it has shed its old image and be a strong watchdog against corruption. When our officials are not afraid of the repercussions of their actions, then our community has a serious problem on our hands. We hope this culture of impunity is banished from Iloilo, for we can never truly become progressive with such festering issues swirling in our community. Meanwhile, our readers can count on us to remain vigilant against corruption. The main focus in the war against corruption has been fixed on national scandals. That’s probably because there have been so many gargantuan transactions that leave the ordinary citizen trying to figure out how much has been stolen. In terms of magnitude, a number of scandals that have erupted in Iloilo City could equal, or even surpass, the corruption on the national level. Number one on the list is the Pavia housing project anomaly. Here’s a project where more than P130 million have gone to waste, with not a single housing unit being completed and used for the purpose of providing affordable shelter to ordinary City Hall employees. It’s not exactly a ghost project, but the dilapidated structures that still stand on the city-owned property in Pavia stand as silent, mute witnesses to this slaughter of decency and honesty in governance. So far, after six long years, nobody has been formally charged before the Sandiganbayan. The Ombudsman handed down a resolution a year ago that found probable cause against former City Mayor Mansueto Malabor and several other respondents. But no Information has been filed before the Sandiganbayan which is the next step in the judicial process. Without an Information, there is legally no judicial case. No warrants of arrest can be issued. Strangely, one of the key players in the Pavia housing anomaly, Iloilo City congressman Jerry P. Trenas, was spared in that resolution. The allegations against him have been pushed back to the Field Investigation Office (FIO) of the Ombudsman for “further review and investigation”. After a year, the reinvestigation does not appear to have moved an inch. In fact, there is grave danger it might altogether vanish into thin air. Number two on the list is the P63.2-million purchase by the city government under then City Mayor Trenas of a 16.2-hectare agricultural land in Barangay San Isidro, Jaro in January 2006. The transaction was fraught with irregularities, and it was only last July when Trenas was finally charged before the Ombudsman for his indispensable participation in the massive anomaly. This is a classic case of an overpriced purchase in which public officials conspired to make it happen. As documents show, the property had an assessed value of only P330,480. The fair market value, which is the estimated price it will fetch in the real estate market, was placed at P2.7 million. There was nothing about the property that would have made it attractive. Having dabbled in the real estate business myself, I’d estimate the property could have reasonable been sold at P85 per square meter. The whole deal could have been sealed at P13.8 million with the seller feeling satisfied at having obtained a good price. But Trenas didn’t play his part as a diligent public official. Because of his position, he was supposed to exercise prudence in how he spent the people’s money. He should have endeavored to strike a good bargain. Aside from big property developers, only government can really afford to buy wide tracts of land. In the case of private developers, that San Isidro property wouldn’t even have warranted a second look. Its location wasn’t suitable for a housing development. It was far from the nearest road, there was no electricity, and there was no water. That factor alone was enough to depress its price. Trenas ignored all these considerations. Instead of trying to haggle for a much lower price, he agreed to a buying price of P392 per square meter. This is the selling price for raw land properties in areas close to the main highways like Mandurriao, where existing subdivisions make them more saleable to customers once developed. What Trenas did was manipulate the paperwork to justify buying the property at that stiff price. That is a betrayal of his oath of office. It was a crime against the people. Based on the circumstances, we can safely assume what the motivation for Trenas was: kickback. Number three on the list is the City Hall project. I will discuss the details of this big anomaly in my next column. But let me just say that our city officials, past and present, have become bolder and bolder in their schemes to rip off the public treasury. And the only reason that happened is because nobody got punished even if caught. This is the classic description of a culture of impunity having taken root in a society. Maybe these anomalies failed to capture the people’s imaginations because they’re not yet in the billions of pesos. The peso amount is not the point. It’s the degree by which huge portions of public funds earmarked for projects are stolen. In Pavia, we don’t even have a single house to justify the expenditure and loss of P130 million. In the San Isidro project, the overprice might just be in the vicinity of P50 million, but that represents 80 percent of the budget.